The mobility of the plate changes with the position of the balls. This can vary the instability/increase. 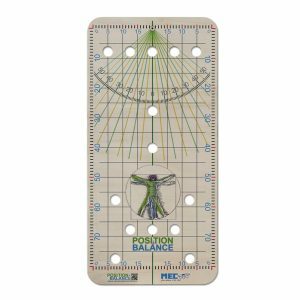 With the help of a smartphone, the Balance Board can be quickly transformed into a biomechanical measuring plate. All you need is an APP for angle measurement (eg “Protractor & Spirit Level” from JRSoftWorx or “iMB Surface Level”). 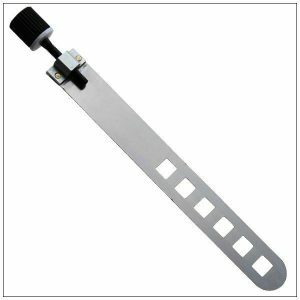 The SCATT mounting metal strap is a part of the universal mounting prism kit, which allows fixing the sensor on the barrels, air cylinders and frames of various diameters. 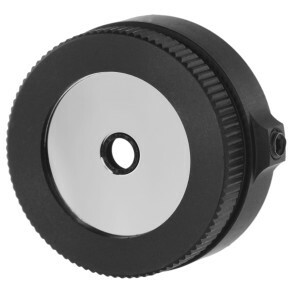 STEYR LP10 mount – used for mounting SCATT optical sensor on the STEYR LP 10 pistol. Available to be ordered. I usually get these in within one week and get them mailed to you soon after. The wireless optical sensor (model WS-03) mounts on the shooter’s gun. It precisely registers weapon’s alignment during aiming and at the time of the shot (release of trigger). 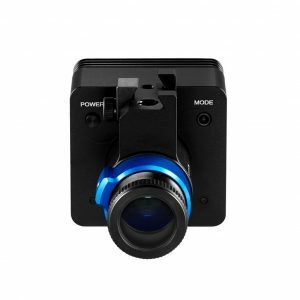 The sensor weighs only 30g (including mounting system) and practically doesn’t affect the gun’s balance. Software allows automatic calibration of the sensor relative to the aiming axis, so there is no need for adjusting the sights of the gun. The sensor compensates rifle cant automatically! The system comes with modern, user-friendly and functional software – SCATT Professional. It includes all the necessary features for training and analysis at the highest level. 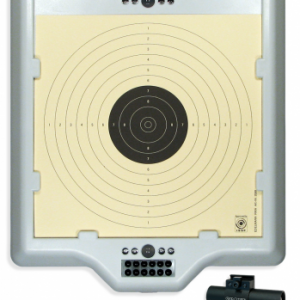 SCATT Biathlon is an electronic system designed for shooting accuracy training in biathlon. 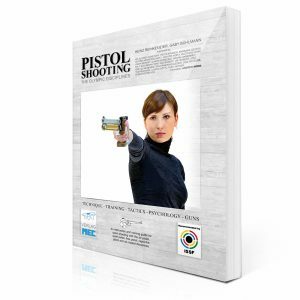 This system is used for indoor training at a set distance of 5 meters and imitates shooting at 50 meters. 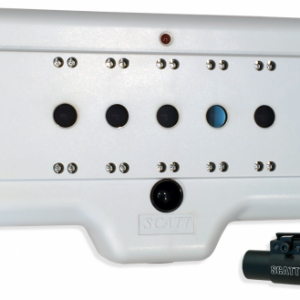 SCATT Biathlon is the most advanced system of the kind since it allows to track weapon’s path from one target to another along with tracking trajectory on each target. 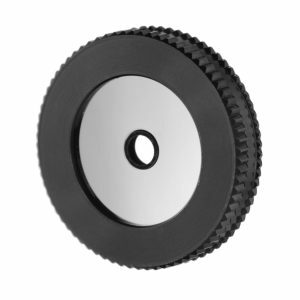 The training system comes with an electronic target (model SBT-5), which is placed at a 5 meters distance (it can be hung on the wall or mounted on a tripod) and, connected to a computer, requires no separate power source. It has five hardware bulls, each with LED hit/miss indicators. 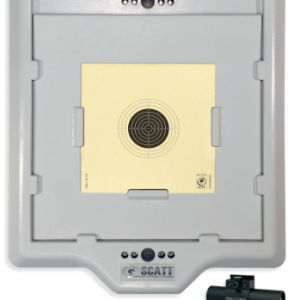 SCATT Biathlon is available in two choices: with a wireless optical sensor and with a wired one. The system comes with user-friendly and functional software – SCATT Professional. It includes all the necessary features for training and analysis at the highest level. This iris fits modern Anschutz and Centra irises. The idea is to NOT see your eye in the mirror. If your head position is correct to the iris and your sight you will not see the reflection of your eye in the mirror.